Why Become a Scuba Diving Instructor with Hall’s Diving? • Turn your hobby into a profession. A love – or simply an interest – in Scuba diving is all you need to get started on your path towards Scuba diving mastery. • Travel the world. Hall’s diving institute boasts a consecutive 25+ year job placement rate for 100% of our students who graduate. Our students can be found working on multiple continents. • Become a leader. 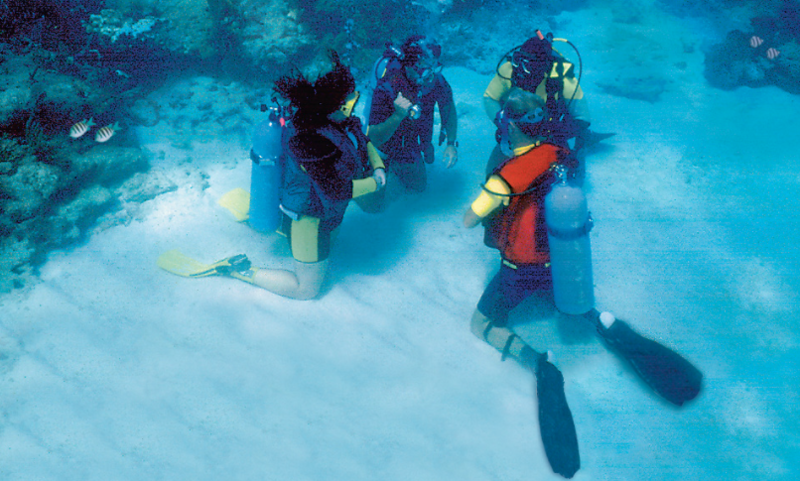 As a dive instructor, you set the standard and safety of the dives. Rise to the challenge and become a natural role model for your students. • Learn new skills. Our programs range from dive instructor training to resort dive store management, underwater photography, and every imaginable aspect in-between. • Enter a rewarding career. Our graduates love the work they do and report a marked increase in work-life balance and fulfillment. 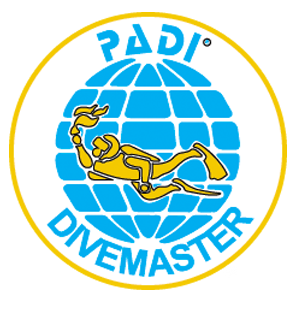 Are you Ready to Become a Dive Instructor? 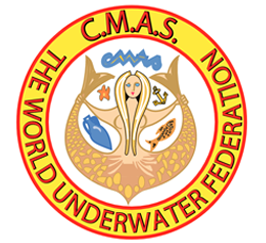 If you are interested in becoming an industry leading scuba diving instructor, you have come to the right place. 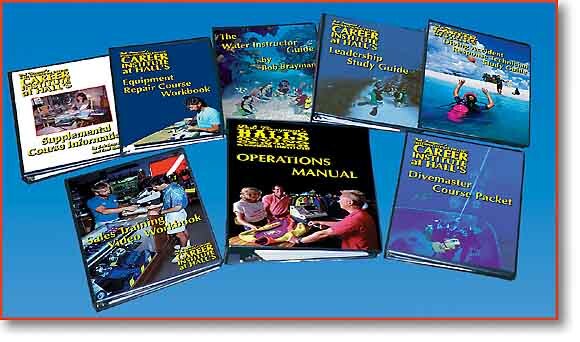 Hall’s Diving boasts a 100% job placement rate* for all of our scuba diving instructor graduates. 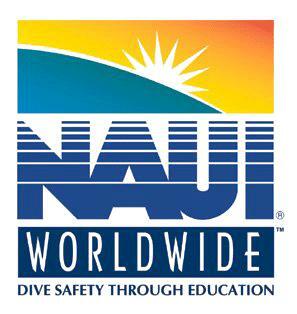 Hall’s Diving has a reputation throughout the industry as using state-of-the-art, progressive dive instruction methods. Over four decades of consistent quality have made our graduates the most widely recognized instructors by associations in the world. 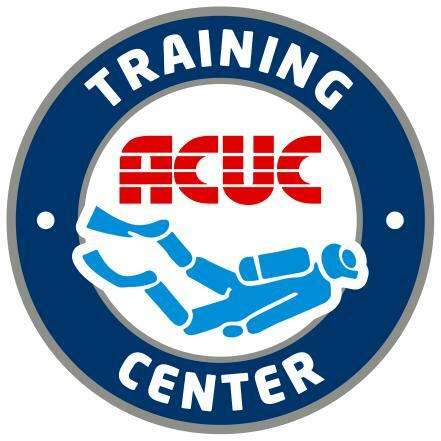 Psychological methods you learn here are in-depth methods that prepare you to teach any version of diving instruction, anywhere in the world. Our professional scuba diving instructor programs have quality dive experiences built in and REQUIRE NO PRIOR EXPERIENCE to attend or become qualified. Training at the Institute at Hall’s includes some instructor specialty areas. 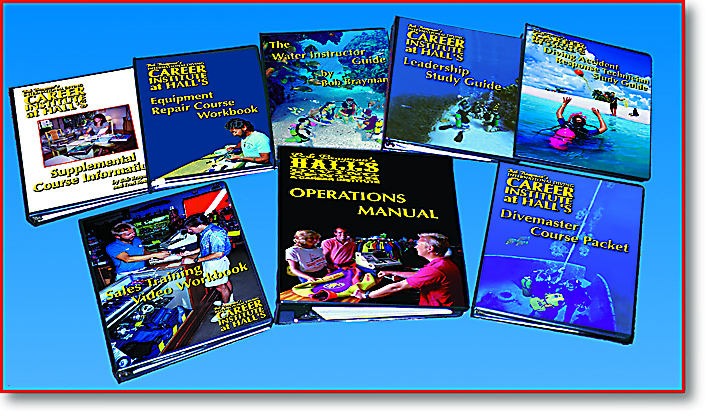 Special lectures and exclusive copyrighted books and study guides cover all areas such as teaching psychology, in-water teaching methods, waterwork problem solving, medical aspects, equipment, environment, diving physics, decompression, gas mixes, nitrox and the business aspects of diving. 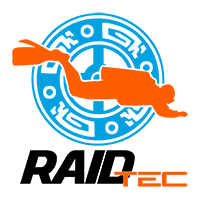 Professional training for your classroom teaching presentations (“orals”) and open-water orientations make your speeches lively, fun and, educational for both you and your students. 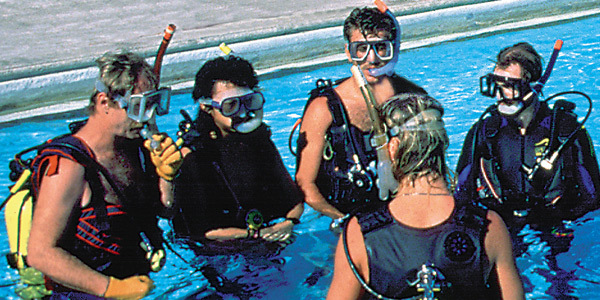 The open water surrounding the Keys makes Hall’s ideal classroom for underwater instructors. 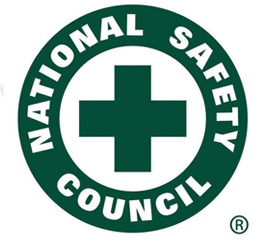 Using Hall’s Water Instructor Guide ©* you practice exercises and problem-solving techniques both in and out of the water until they become second nature to you. You master teaching techniques in the water under the guidance of a skilled Hall’s Instructor Trainer. Hall’s exclusive copyrighted methods* are not available through any of the training associations or other schools. They are given to graduates and set YOU apart to be admired by employers and students wherever you go. As a result, you can easily teach your future students to be comfortable in the water, ready to go out and dive on their own without needing supervision, and you do it within a reasonable time period. Learning at the Institute at Hall’s is different than learning anywhere else in the world. Remember: the renowned Hall’s methods are only available at Hall’s. At the Institute at Hall’s you learn to teach diving so well that when you’re done, employers seek after you. This has been the case for 25+ years. It doesn’t get any better than 100. Being a high-demand Hall’s graduate can provide you with more job offers, better placement choices, and the potential for higher pay. 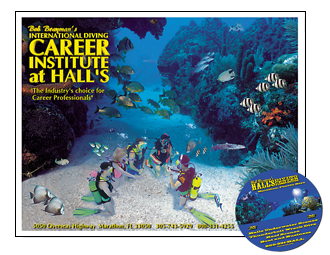 At the Institute at Hall’s, your final practical examinations are teaching REAL students in the ACTUAL environment at an AUTHENTIC diving vacation center. These REAL teaching experiences assure you and your future employer that you are not just certified; these methods prove that you have necessary on-the-job experience to immediately succeed.